Humanity Rising hasn't added a story. Humanity Rising ( humanityrising.org) and Stand for the Silent (standforthesilent.org) have teamed up to empower students to help put an end to bullying through kindness and respect. By participating in this fundraising challenge, you will be eligible for Humanity Rising Service Scholarships, gift cards, concert tickets and other awards! Stand for the Silent is one of the leading and most effective anti-bullying organizations in the country. In 2010, Kirk and Laura Smalley lost their 11-year old son Ty to suicide. Since that time, Kirk has shared his story with over 1.5 million students across the country, in a very moving and powerful Stand for the Silent anti-bullying assembly. Stand for the Silent assemblies are life-changing, and even life-saving, for many. 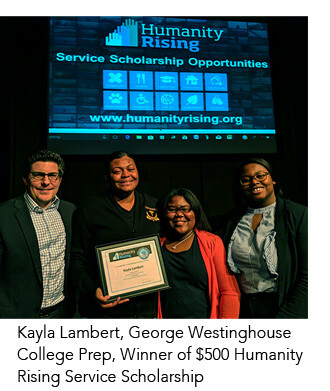 Humanity Rising is a nonprofit organization that inspires, empowers, recognizes and rewards students for making a difference in their schools and communities. For our anti-bullying category, we’ve teamed up with Stand for the Silent to help Kirk reach more students with his empowering message, and to recognize and reward students who are helping to put an end to bullying through kindness and respect. YOU can help Stand for the Silent and Humanity Rising reach more students and spread the movement by raising funds. In addition to bettering the world... your fundraising efforts will make you eligible for scholarships, gift cards, concert tickets and more! • At least one $2,500 Ty Smalley Scholarship will be awarded to a student (13 years old through high school) who is having a significant impact in helping to end bullying. • Students 13 through high school who raise a minimum of $250 will receive a special award - a $1000 Tuition Discount Award that can be used at over 400 private colleges and universities across the country! • Raise a minimum of $30 to be eligible for gift cards, scholarships and other rewards. In addition to raising funds, there are many other things you can do to help put an end to bullying and make a difference in your school and community. Once you've completed your fundraiser, check out what your peers are doing for ideas - or create your own solution. 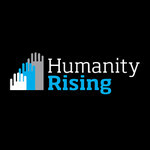 Share your service stories with us in writing or submit a video at humanityrising.org. Your story may also be featured in our social media to inspire other students to make a difference. You will be eligible for additional awards on an ongoing basis for the work you are doing to make a difference in the world. Remember to watch your emails and join Humanity Rising’s social media for more opportunities! Let’s put an end to bullying and change the world together. Click the blue 'Register' button to start your fundraiser now! Humanity Rising is managing the funds for this campaign.